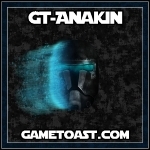 -= Gametoast.com =- - View topic - Battlefront 2 VS EA's Battlefront: Which do you prefer? The new Battlefront game is here; It is quite controversial. So what do you guys think? Battlefront 2 with it's outdated graphics, free mods, and more content at release for free, or Battlefront 2015 with incredible graphics, ridiculous prices, and character customisations? Personally, I prefer BF2 by far, but what do YOU lot think? I am really interested to see your opinion, and why. Feel free to say whatever you want under the site's rules. Re: Battlefront 2 VS EA's Battlefront: Which do you prefer? I like both equally. The sound, graphics and dare I say gameplay make up a lot of ground lost by the lack of content for me. IMO,I believe that this Battlefront was aimed for the young kids that like graphics and stuff,hence why people call it casual. I just hope it doesn't become like CoD or something. *I said aimed,I didn't say only. Don't get angry (if someone becomes angry idk). Is that what you wanted to hear from this kind of topic? They're two completely different games, and they're incomparable. The only thing they share is the fact that they're Star Wars shooters with the intent of "reliving the battles of Star Wars" (Which is maybe the problem. No one would be asking this question if DICE hadn't named the new game Battlefront). Asking which one you prefer is like asking whether you prefer the color red or the color blue. You might have a reason for liking one over the other, but it's not a reason based in logic, it's all personal preference. Well,they shouldn't have put the title ''Battlefront'' and the community wouldn't go ''ermagherd no space bf2 rulz''. As you said,different games. Also that rank icon looks cool. yes i can only agree. BF is something complete different. I like it, but it will not REPLACE good old BF2. It's not as if every purchase of the new game results in the immediate deletion of five copies of SWBFII. It's a fun shooter (I've put it away for the time being) and at its core, it has the same premise as the original games. They just executed it differently. EA have been sending out surveys asking what players would like to see in the next game (things like Clone Wars, The Force Awakens and Ground-to-space combat are options in the survey). EA seems at least willing to entertain the idea of listening on this occasion. Well...I played both games (The newer just a bit; still waint for fully access to my graphics card). And I like the new game so far. The graphics and sound design is better. Ok..not better. Just newer. Frostbit can handle this. Zero can't. But I like the sounds and graphics more. The gameplay is a bit too new for me though. Especially flying as others mentioned before. 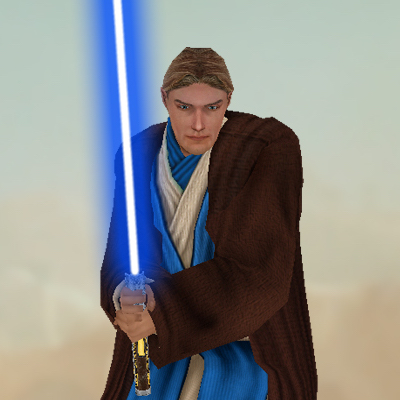 But as anakin said the new Battlefront will never be able to replace the old game. Even if they put all eras from 5000 BBY till 30ABY or the entire Star Wars Galaxy in one single map. Nothing can replace it. And they probably also didn't want to. But I wish they could have brought more content for singleplayer. Mp seems to be fun but sometimes I prefer Sp more like I do in Battlefront II. I also wish they would have at least added more maps as you said. Maybe (hopefully) they will add more sp content in any future DLC. Season Pass is 50 bucks. Hmmm I believe I can imagine out a good and accurate list of DLCs so far. I was hopefully accurate enough. Joking aside, EA have said there will be free DLC that includes new maps and Star Cards. 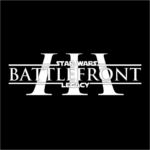 ggctuk wrote: Joking aside, EA have said there will be free DLC that includes new maps and Star Cards. 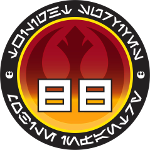 I personally think they could stand to add some Clone Wars material, even if they don't include the era. 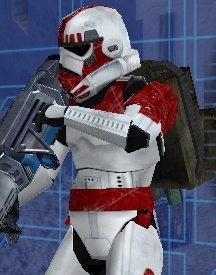 Surely there could be the blasters, and the Empire could have Phase II armour in their costumes list. There's not even a comparison to make. Battlefront 2 was made and released under some incredibly extreme and unfair working conditions in under a year, was made a decade ago, and had tons of content. Battlefront EA was made over two years and they managed to make four planets look really good for $60, with some unspecified additions for free and/or another $50. Honestly though I'd pick BF2 any day of the week. I could really get into the issues with the industry this generation here but let's just say everyone who wants every game to be 1080p, released annually, and only cost $60, here you go, you won. Fusion wrote: There's not even a comparison to make. Battlefront 2 was made and released under some incredibly extreme and unfair working conditions in under a year, was made a decade ago, and had tons of content. Battlefront EA was made over two years and they managed to make four planets look really good for $60, with some unspecified additions for free and/or another $50.